On the 22nd May 2018 the Environment Secretary Michael Gove published a Clean Air Strategy which aims to cut air pollution and save lives, backed up through new primary legislation. What does the strategy say and how will it impact you? The new strategy is a key part of Defra’s 25 Year Plan to leave our environment in a better state than we found it. 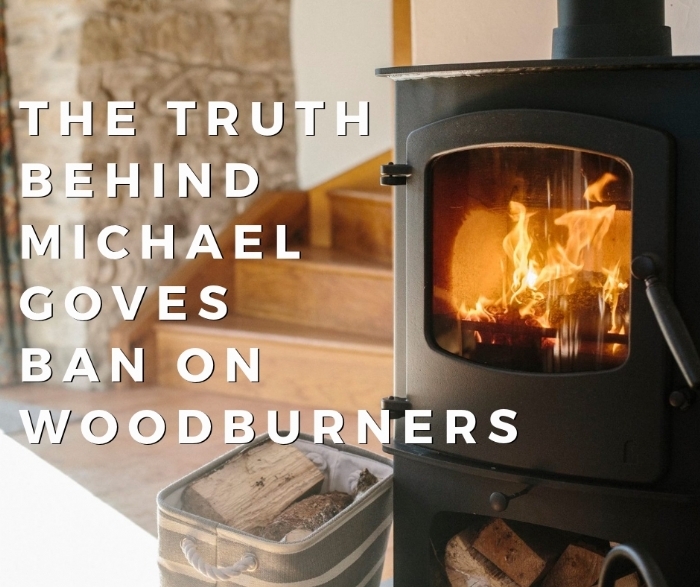 HETAS, Woodsure and The Stove Industry Alliance have all been consulting with Defra for some time now and once again Defra has clarified they are not looking to implement a ban on wood stoves. Legislate to prohibit sale of the most polluting fuels. Ensure that only the cleanest stoves are available for sale by 2022. Give new powers to local authorities to take action in areas of high pollution, bringing legislation into the 21st century with more flexible, proportionate enforcement powers. Work with industry to identify an appropriate test standard for new solid fuels entering the market. Ensure that consumers understand what they can do to reduce their impact from burning. The strategy also suggests Defra will give local authorities powers to go further in areas of high pollution - for example exploring what further steps government can take to enable local authorities to encourage ‘no burn days’ during high-pollution episodes. If you have an open fire - contact us for alternatives. You should stop using this. If your fire is over 10 years old or in poor condition - contact us to consider a new appliance, not all stoves over this age will need replacing. If you are concerned regarding the fuel that you burn - we are able to advise and supply ready to burn fuel. If you are looking for a new stove - we can guide you to the most efficient stoves on the market many of them already exceeding the 2022 requirements Clean Air Strategy. If the fire is under 10 years old, properly installed and in working order - you should carry on using it. If the fire is over 10 years old - have it serviced and give it a health check (we can do this for you). Compare its efficiency against news models. If it is similar or 70%+ and in good order - carry on using you fire. There is no legislation or restrictions in place to stop you using these appliances with good quality fuels. Low efficiency appliances and those in poor order should be considered for replacement. Kernow Fires see the Clean Air Act as a very positive policy for our business and the environment, fully supporting the measures. We are already working towards only stocking stoves that meet these requirements by the end of 2020 - two years early.